Is there a skill related to your hobby that you hope to learn one day? maybe you’re a crocheter who’d also like to knit? 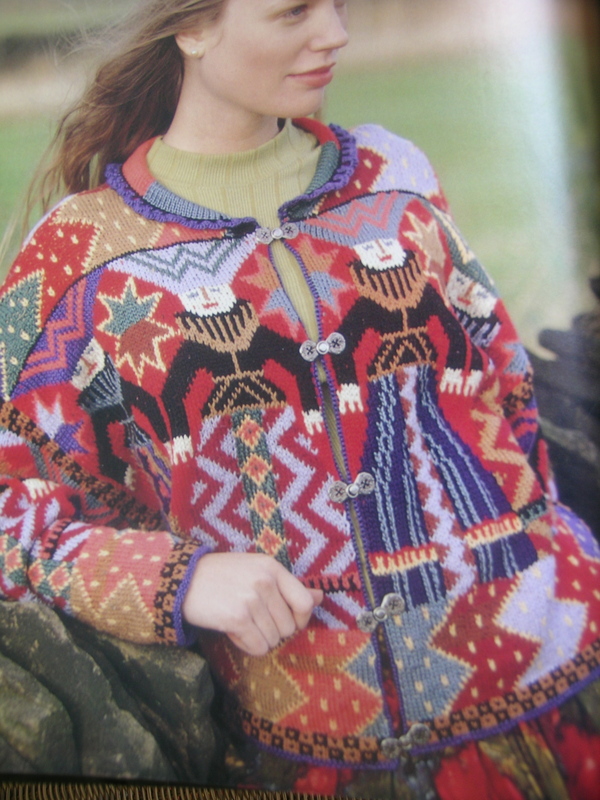 Maybe you’d like to learn to knit continental, knit backwards, try cables or attempt stranded colourwork. I have been knitting since I was a little girl, never stopping. I have tried all the techniques that I can think of, and know how to crochet. I guess my answer to this question would be that I would like to push the envelope a bit. I have to admit that intarsia is not one of my favorite techniques. 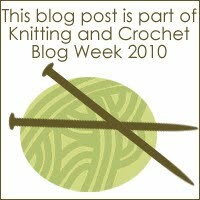 I have also been in love with the sweater Foolish Virgins by Kaffe Fasset since seeing it on Ravelry a couple of years ago. That said, I would like to learn to do “Ultimate Intarsia”. From reading people’s project pages, this sweater uses up to 40 bobbins/row, and changes colors on the next row. It suggests 14 different colors. Look at the back in this post from Bon Tricot. Enough to make me reconsider, and this is just the scarf version! The other thing that I would really like to challenge is making more of my own designs. I have done very simple socks, sweaters with cables and fair isle, but I would like to challenge myself to write a pattern that I could make available. I am trying to work on a pair of mittens right now for the Hands On 2010 retreat and classes. I am afraid that time is getting away from me and I will not get them finished prior to the event. In any case, I have an idea that I want to continue with. 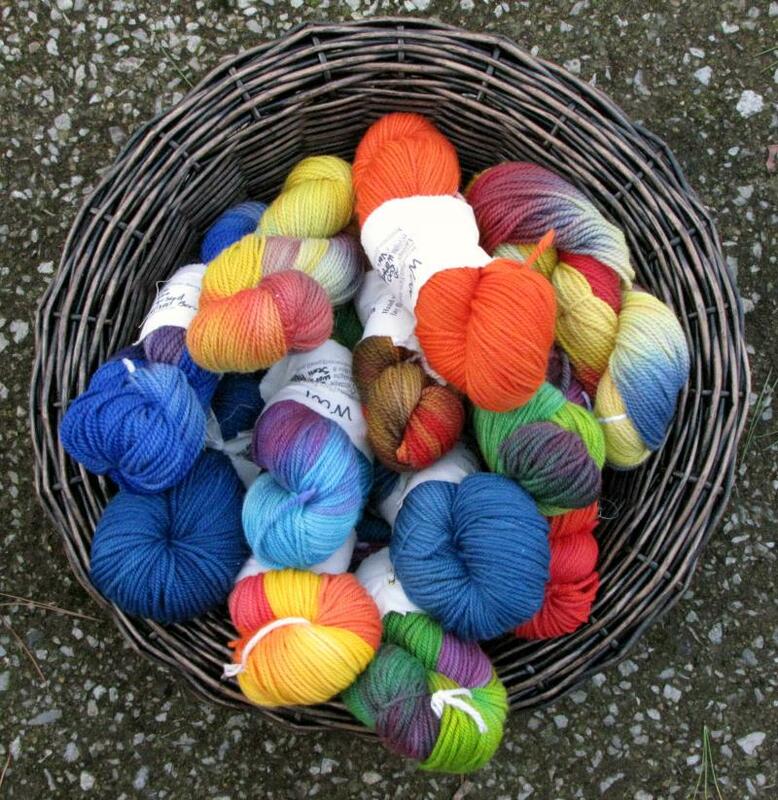 I want to learn how to dye yarn. I have some beautiful Kinari Wool lace weight natural yarn from Habu textiles that would make a gorgeous shawl. I want to get a spindle and spin my own yarn. 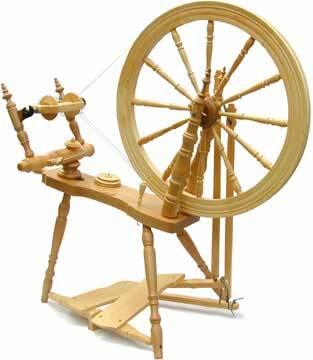 I imagine a gorgeous spinning wheel setting in my living room or entry. You should try dyeing! It’s messy, but not hard. Just be prepared for a lot of serendipity in your early colors while you learn the ropes! That has a LOT of colors. Skerry!